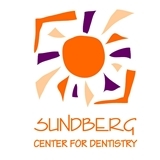 Sundberg Dentistry (Portland) - Book Appointment Online! It is the mission of our office to strive for, attain and deliver the highest level of dental care for our patients. We will treat every patient in a caring, concerned, empathetic, understanding, honest and professional manner. We will maintain the highest ethical, personal and professional standards possible. We will strive daily for professional dental excellence through our caring, sincere and professional treatment for each of our patients. We will be measured both personally and professionally through our belief and dedication towards providing each and every one of our patients with the best dental care possible. We will dedicate ourselves towards fostering a friendly, positive, professional, supportive, educational, stimulating and family oriented dental office environment. Dr. Sundberg and her team were kind, reassuring, and had a great bedside manner even when my appointment became more stressful and complicated than anticipated. I'm confident returning to them for further help and for any future check-ins and cleanings!